Nicely equipped, low km unit.driver air bag,passenger air bag,front side air bag,front head air bag,rear head air bag,a/c, am/fm stereo,cd player,abs,front disc/rear drum brakes,cruise control,rear defrost,child safety locks,floor mats,daytime running lights,keyless entry,power door locks,heated mirrors,power mirror(s),pass-through rear seat,cloth seats,bucket seats,power steering,adjustable steering wheel,temporary spare tire,traction control,power windows,intermittent wipers,mp3 player,heated front seat(s),steering wheel audio controls,engine immobilizer,driver vanity mirror,passenger vanity mirror,tire pressure monitor,trip computer,wheel covers,steel wheels,bluetooth connection,back-up camera,stability control,brake assist,auxiliary audio input,rear bench seat,passenger air bag sensor,smart device integration. vehicle.label.warranty.powertrain 2020-01-01 / 100000 km. 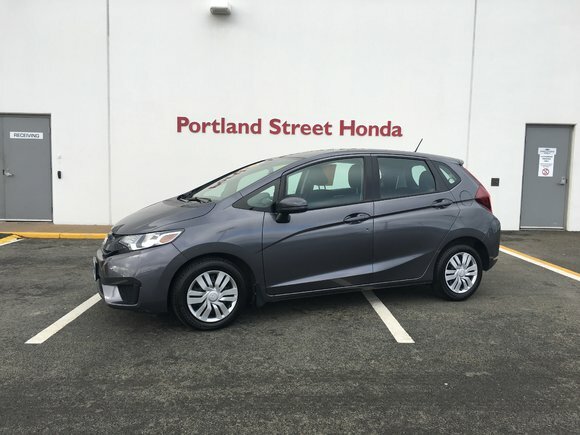 Want to try the 2015 Honda Fit LX?